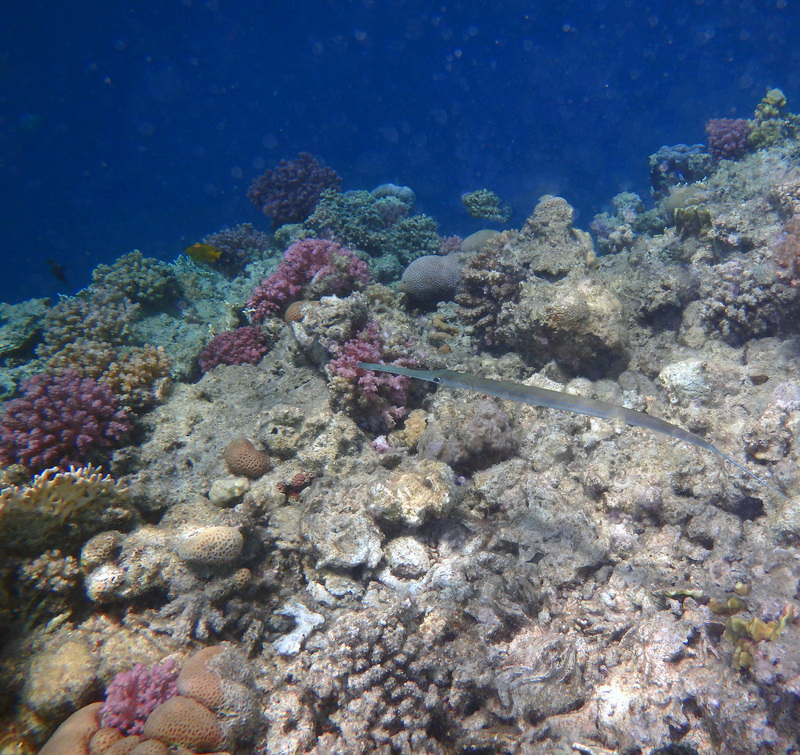 Red Sea offers a wide range of fish and corals to watch and photograph. 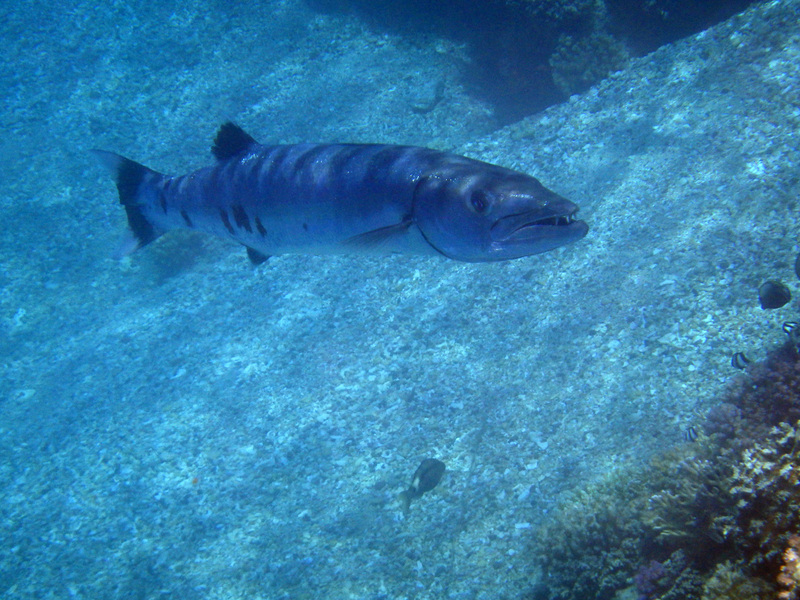 One time in Port Ghalib my husband happened to meet a Barracuda. That is a rare moment. 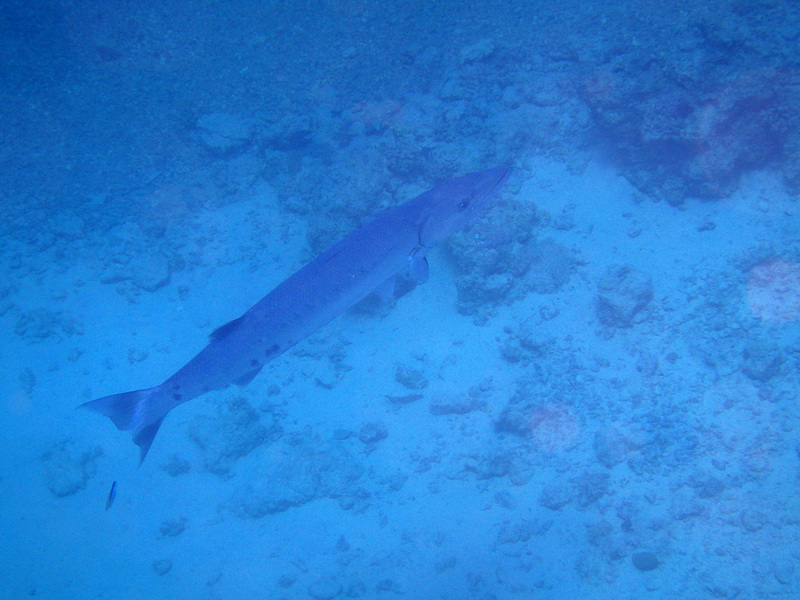 He took some photos of the Barracuda while it was at the cleaning station. Afterwards he admitted that the situtation was very scary! 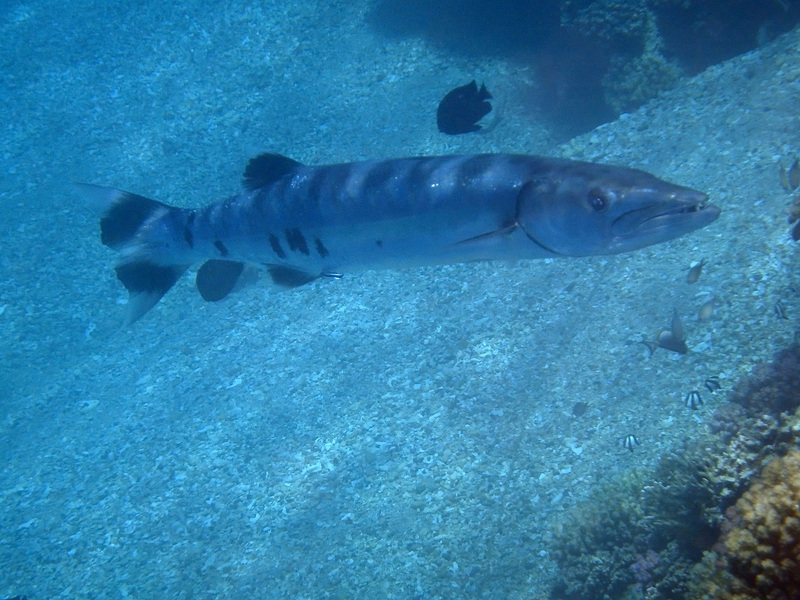 The barracuda is a ray-finned fish known for its large size and fearsome appearance. 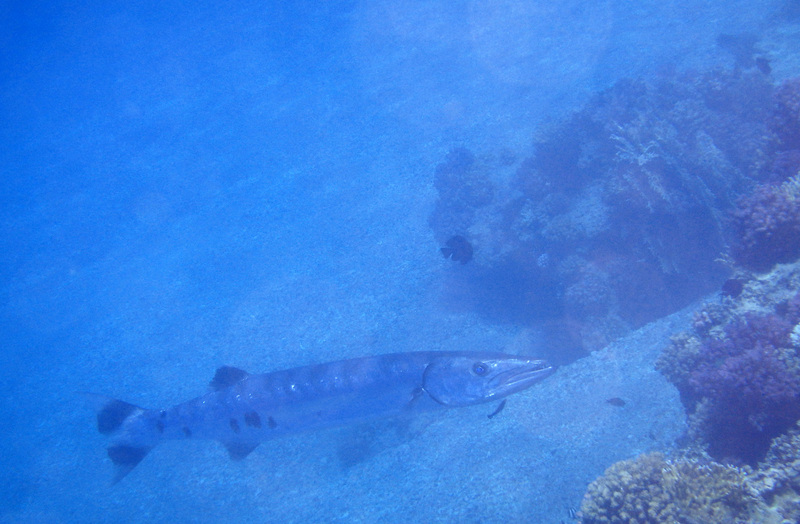 The Cornetfishes (or flutemouths) range up to 200 cm in length. They are as thin and elongated as many eels, but are distinguished by very long snouts.